This is part 1 in a series of how to find a job in the Dutch game industry. Check out part 2, where we focus on the application process and interview. First of all, if you want to work in the game industry it is helpful to have an idea how games are made, even if you don’t have a technical background yourself. Especially for people looking for a marketing, PR, or other business position it is useful to have some insight in the development process of a game. There are many video tutorials and courses you can find online that teach you how to make a simple game. If you prefer working in a team, consider participating in game jams like the yearly Global Game Jam or local game jams in your area. A game jam is a great way to get a first taste of what working in a game development team is like. After participating, you’ll have another game to add to your portfolio, you have some experience working with a team under pressure, and you will have expanded your professional network by meeting new people – many of whom might be professional game developers that could help you get a job someday. Some game jam teams even end up starting a company together. Either way, it’s a great way to meet other developers. All too often we have interviews with internship candidates that don’t seem to know any games made in the Netherlands and have never heard of websites like Polygon or Kotaku. It’s astounding to hear – after all, knowing the latest developments is an easy way to have an edge over other candidates in a creative industry that is incredibly competitive. 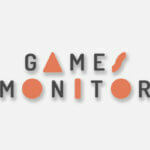 The Dutch Games Monitor research showed there are more game students graduating than there are jobs in the industry. A lot of people share your dream of having a job in the game industry, so you must stand out to make that dream come true. 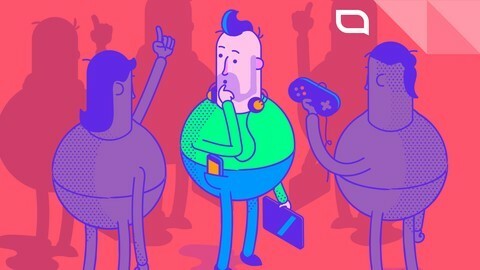 To increase your chances of employment, you need to know what’s going on: which games are popular, which games are made in your country, which studios are behind them, the latest developments in the industry and discussions surrounding it. Don’t wait for useful information to reach you – try to actively search for it and inform yourself. Follow the news, both local and international, and try to read websites for players, but also industry websites like Gamasutra and Gamesindustry.biz. There are countless calls and opportunities out there that might be useful for you. Know who key persons in the game industry are, and follow them on social media – it will give you additional insight into the industry. Another way to stay up to date is to join local Slack, Discord and Facebook groups where game developers share news and showcase their work. It’s easy to connect casually and ask for feedback. One of the major things you can do to get to know more people in the game industry, is attending events. 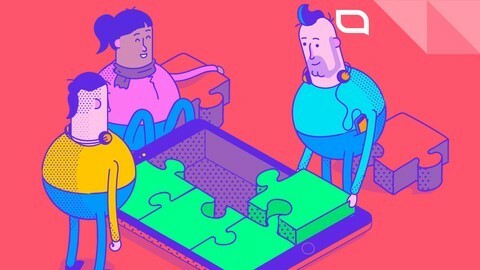 This is incredibly important, because it gives you the opportunity to meet experienced developers and potential employers, as well as present yourself and your work. 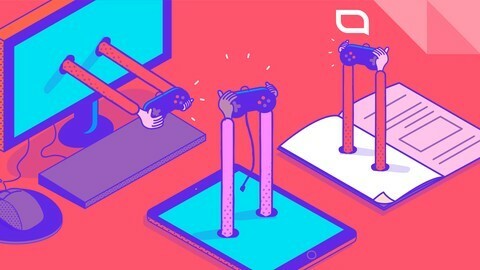 The game industry is not a field where having a degree alone will get you anywhere – competition is tough, and you’ll have to spent time on your skills, portfolio, and network to increase your chances of employment. There are many Dutch game industry events where you get the chance to talk to developers, such as our Network Lunch, INDIGO, Control Conference, Indievelopment, DGA Days, game developer meetups, and many more. An excuse we often hear is “I don’t have any money to attend events” – of course this is understandable, conferences are expensive. However, there are multiple events in the Netherlands and abroad that give you student discounts, or that are completely free to attend. If you are not willing to spend some bucks, you can always choose to volunteer. In that case, you work during one part of the event, and you can spend the rest to attend for free. 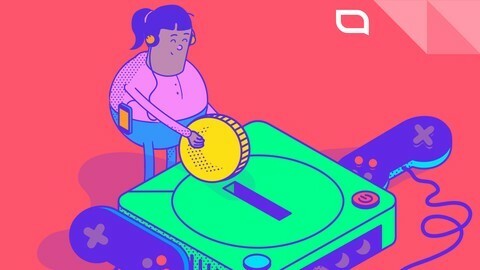 There are also grants for students and minorities to attend events like the Game Developers Conference in San Francisco, the largest gathering of game developers worldwide: again, this comes down to following the news and seizing opportunities. Be proactive – a passive mindset will get you nowhere. Your network is especially important when it comes to finding jobs in the game industry. Of course, there are dedicated job websites like Gamejobs.eu and job sections on websites like Gamasutra and Gamesindustry.biz, but many game studios look for potential candidates in their own network first before posting a job online. This is why knowing people personally gives you an advantage: they can probably tell you whether any positions will open up soon. Referrals are a big percentage of hires, so it pays off to make new friends. Of course, there are things you can do yourself. Find companies you’re interested in and keep an eye on their Facebook page and the jobs page on their website. In case there’s none, you can also write an open application to be considered for future openings. Don’t be afraid to connect with recruiters on LinkedIn as well: it’s basically their job to find candidates like you. In order to leave a good first impression, you will have to work on your own ‘brand’. That may sound unappealing, but it’s important: you need to know what you focus on, and properly represent yourself in your portfolio and on social media. If you were the one hiring new people, what would you want to see in potential candidates? Try to show those things on your online profiles. Even if you are in a casual environment like Twitter or Facebook, be aware that you’re still representing yourself, and potential employers will see your posts. It’s helpful to define your job goals. What kind of company do you want to work for, what are your skills, and what do you enjoy? Prepare an elevator pitch for yourself: explain what makes you special in 45 seconds. Make a list of your accomplishments: you may not have worked on a successful game yet, but maybe you published a game on itch.io, led a student team, organized an event, or were a board member of your study association. That kind of experience matters! It gives the employer an indication of your soft skills, or ‘people skills’, which is incredibly important when you join a team. Personality is key. It’s helpful for employers to know what experience you have working in teams and what role you take. Think about the things mentioned above before applying somewhere. This is part 1 in a series of how to find a job in the Dutch game industry. Click here to read part 2, where we focus on the application process and interview. We recommend these game industry resources to beginners.